With two sleeping cabins and a convertible dinette, the 3058 can accommodate four in comfort and six in a pinch. Dual helm stations with full instrumentation will keep you cruising in all kinds of weather, while a wide 10' beam adds increased stability and maximizes interior space. The Bravo II outdrive delivers greater high-speed fuel economy and maximum low-speed thrust for excellent docking maneuverability and control. A hard bottom Titan dinghy with 9.9hp Yamaha motor is available separately making this a complete turn-key cruising package at a very affordable price point. This is a very clean, well maintained, two-owner, freshwater boat for sale by long-time boaters looking to go bigger in retirement. 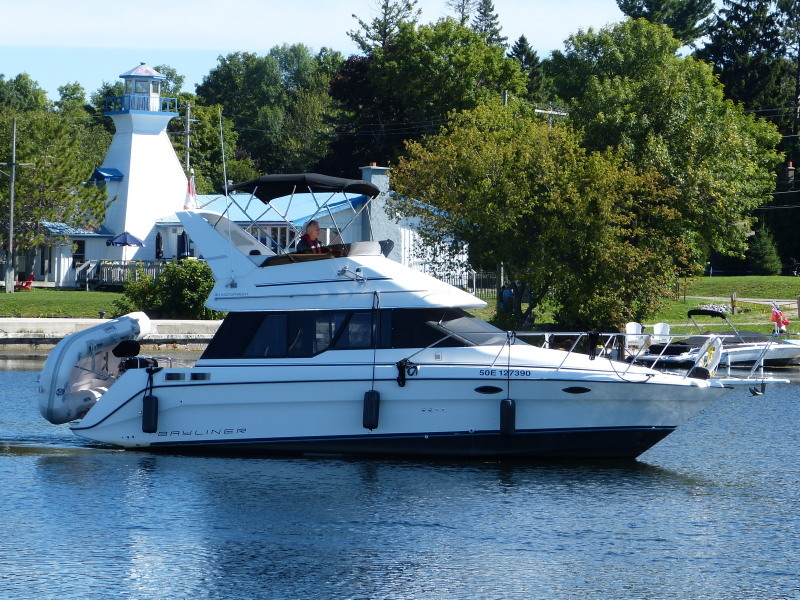 It's well worth a look if you are interested in an economical, mid-size bridge boat with all the features needed for comfortable weekenders or extended cruises.